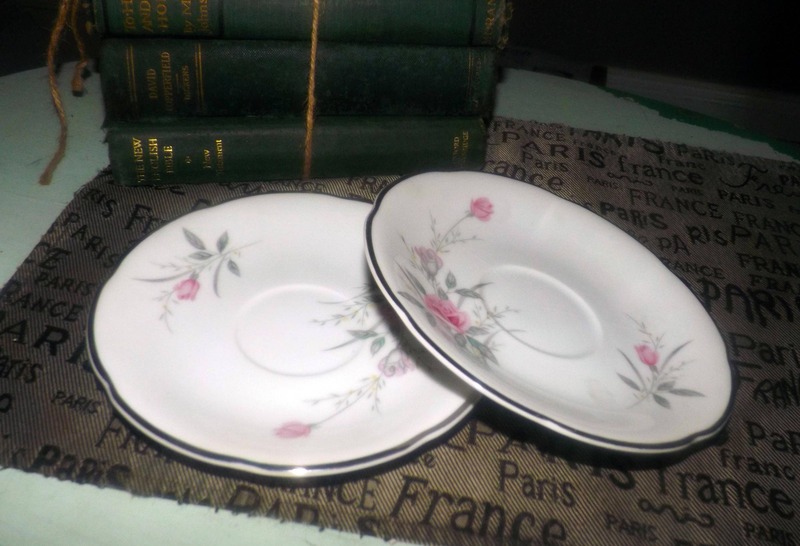 Vintage (1960s) Breath O'Spring orphan saucer only by Fine China of Japan. 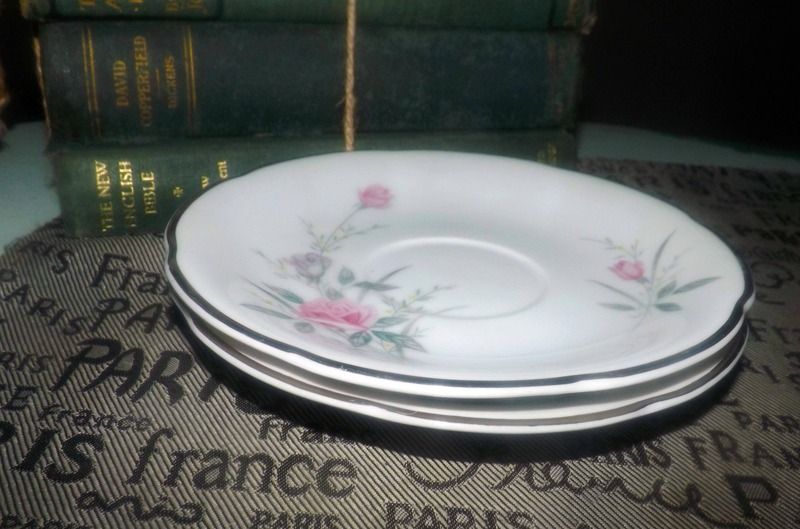 Pink, grey roses, greenery, scalloped platinum | silver edge. 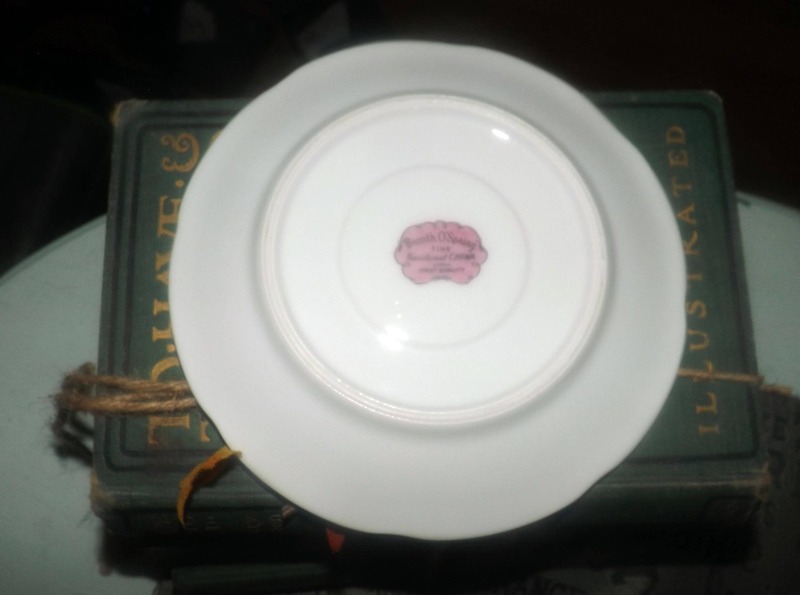 Vintage (1960s) Breath O'Spring orphaned saucer only (NO! 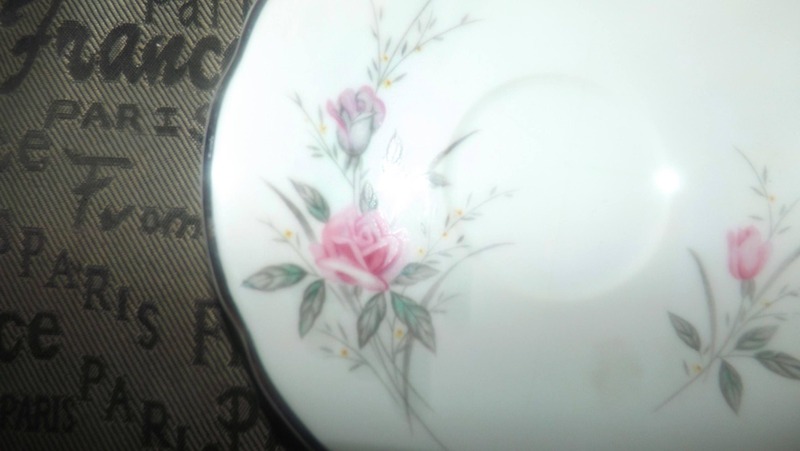 cup) by Fine China of Japan featuring pink and grey roses and greenery set against a pure white ground with a scalloped platinum | silver edge. In EXCELLENT! condition with NO! chips, nicks, cracks or fleabites, NO! crazing, NO! loss to the scalloped, platinum edge and NO! marks, stains, scratches or other signs of use or wear. The pink roses and greenery are bright and vivid with NO! fading apparent. Approximate measurements: 7-1/4" in diameter with a coupe shape and a scalloped platinum | silver edge. 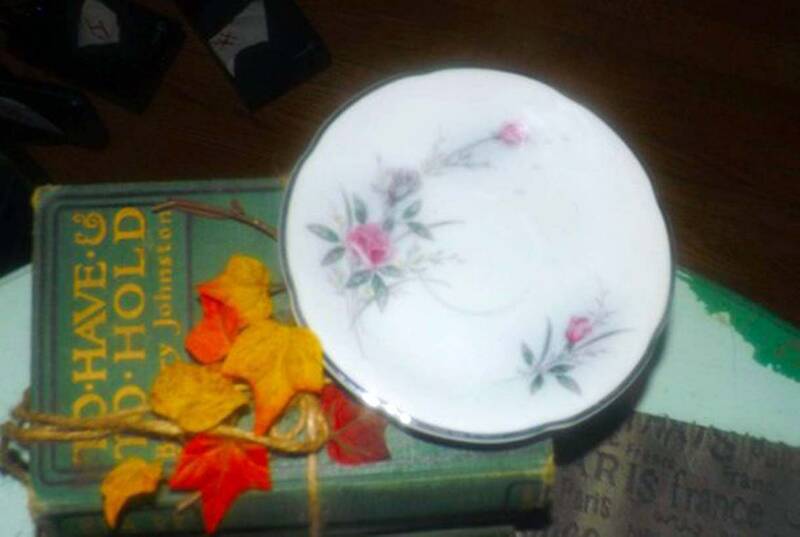 THIS LISTING IS FOR ONE (1) ORPHANED SAUCER ONLY (NO! CUP). Currently, more than one saucer is available in the shop.